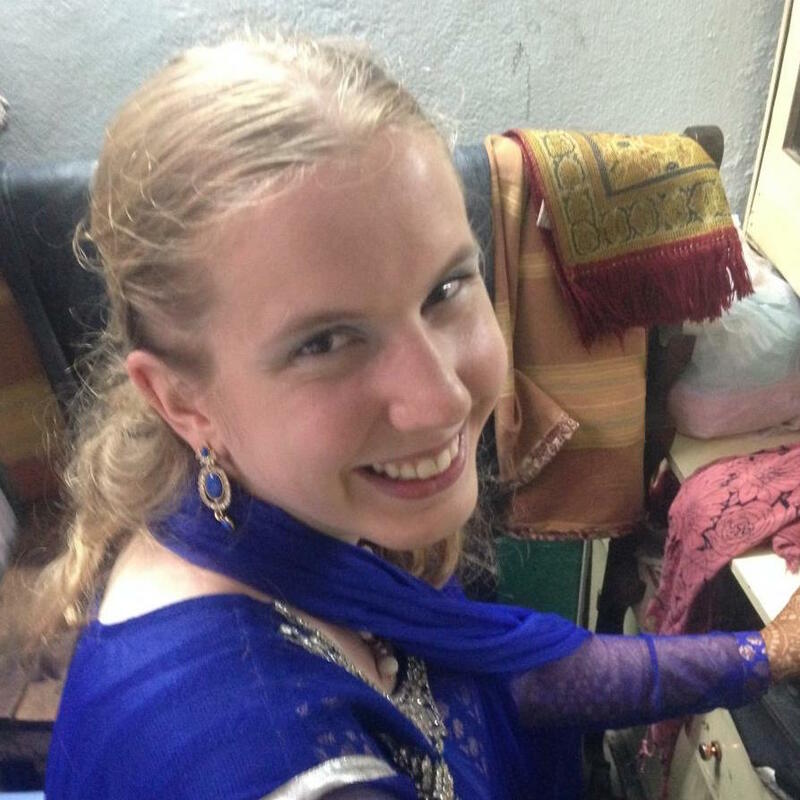 Emily Schueller's research topic was "An Ethnographic Study of Education and Status Among Muslim Women in Old City Hyderabad" and she was advised by Dr. Jeffrey Cohen, anthropology. How would you briefly describe your research to someone who is not familiar with your field of study? I employed an ethnographic approach, which emphasizes a holistic understanding of culture and how it impacts individuals’ lives, to study access to education for conservative Muslim women in the Old City area of Hyderabad, India. Through interviewing local women and observing classes at multiple schools, I learned about the major barriers to girls’ education. How/why did you select this topic? I studied abroad in Hyderabad during spring semester 2013 and became interested in the everyday lives of women living in Old City. A lot of discourse around Muslim women, especially in the West, focuses on their oppression and portrays them as perpetual victims. Instead of buying into that narrative, I wanted to find out the actual circumstances, beliefs, and attitudes of these women, and I wanted to learn more about how they are creating change in their own communities. Because educational access is one way to measure women’s status and access to opportunities, I decided to use that metric. How did you identify a faculty mentor? It was a little difficult since I wasn’t able to identify a faculty member in my department who works in India. As a sophomore I planned to pursue an independent research project during my semester abroad. At the time, I was enrolled in a cultural anthropology class and asked my professor if he knew anyone who could advise my project. He recommended that I talk to Dr. Cohen. I met with Dr. Cohen and we discussed my preparatory coursework. After further discussion, we began to work together. I have now worked with him on two independent research projects. Both of these projects were conducted in India. How has your major program and your time at Ohio State prepared you for this research? I have been consistently impressed by the faculty in OSU’s anthropology department and with the university’s support of undergraduate researchers. Most of my preparation was not in class, but through conversations with faculty from anthropology, comparative studies, and history who were able to offer advice from diverse perspectives. Last semester I enrolled in a graduate-level course on ethnographic research methods. The class was invaluable and taught me how to conduct more rigorous and disciplined research. What have you learned from the experience that will be valuable to you in the future? I could write a whole book about the lessons I learned from this research project, but I think the most important ones are flexibility and the value of respect. Since my ability to conduct interviews and observations was contingent upon my translator’s and informants’ availability, it was absolutely vital that I was able to be flexible. Unforeseen events such as sickness and urgent out-of-town visits meant that my work schedule varied by the day. I also learned a lot about the importance of mutual respect between researcher and informants. I respected the local people’s customs and in turn my informants were very open with discussing the details of their lives. Not only was this respect useful for establishing a rapport and gleaning useful information, but it also helped me create meaningful and lasting relationships with some of my informants. What impact did/do you hope to make through your research? One of the most important things I have learned in anthropology classes is the necessity of exploring a problem holistically before proposing solutions. I hope that by elucidating some of the barriers to women’s education in Hyderabad, I can lay the groundwork for future solutions in overcoming those barriers. I also hope that I can create more awareness in the United States about the ways Indian women are helping themselves and improving their own circumstances. Do you plan to continue with this research in the future? I am currently applying for a Fulbright research grant to conduct nine months of research in Hyderabad after I graduate. I plan to study the socioeconomic factors affecting local Hyderabadis’ support, or lack thereof, in relation to their access to local government schools. What advice would you give students about getting involved in research? Find a question that excites you. Sometimes research gets boring. There were days when I was just overwhelmed by the sheer amount of writing I had to catch up on, but when you love your work, it doesn’t feel like work. If you are working on a question that really interests you, through your research process you will acquire the skills you need in order to answer your questions. That’s what research is all about – having a question and doing your best to find an answer.